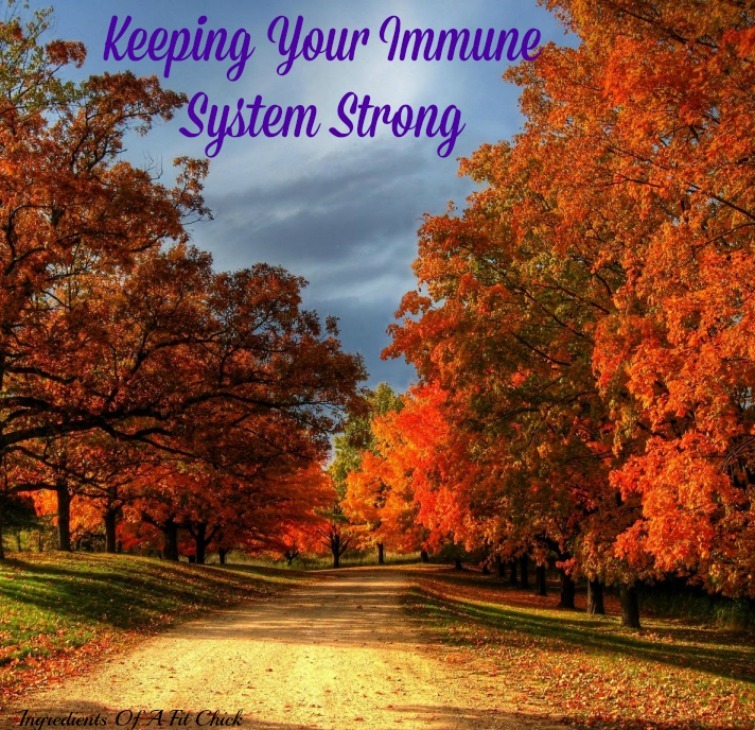 Keeping Your Immune System Strong - Welcome to SarahKesseli.com! Now that flu season is upon us, it is important to keep our immune systems strong! The stronger they are, the less colds we are apt to catch! Here are some of my favorite diet and healthy habits that will ensure that you keep those nasty colds at bay! Stay Hydrated! Making sure you drink enough water will ensure that your immune cells function properly. Shoot for 6-8 8oz glasses of water per day! Get Fruity! Adding fresh fruit to your diet will ensure that you take in ample amounts of antioxidants! Protein Power! Protein helps support healthy white blood cells! Discover Fermented Foods! Foods such as sauerkraut and kefir are known to strengthen the bacteria in your gut! Beat Stress! Increased stress will drop your immune system. Stay relaxed by listening to some music, reading a book or even getting a massage. Sleep! Too little sleep will also cause a decrease in your immune system. Make sure to get 7-9 hours per night. Try going to bed even 10-15 minutes earlier each night until you attain this number. Step Outside! Fresh air will not only help keep you energized but jump-start your immune system. Stay Positive! Having a negative mindset will weaken your immune function. With so many positive things this time of year: family, friends and holidays, why not be happy?! Kick The Habit! We all know smoking is bad for us. But it also triggers inflammation and upper respiratory infections!